For the past eight years, Jonathan Hernández has been developing the ongoing series Vulnerabilia from an immense bank of images appropriated from different public media, including photographs from newspapers, postcards, snapshots, or advertisements. Hernández erases any textual information that points to the image’s original content and context. 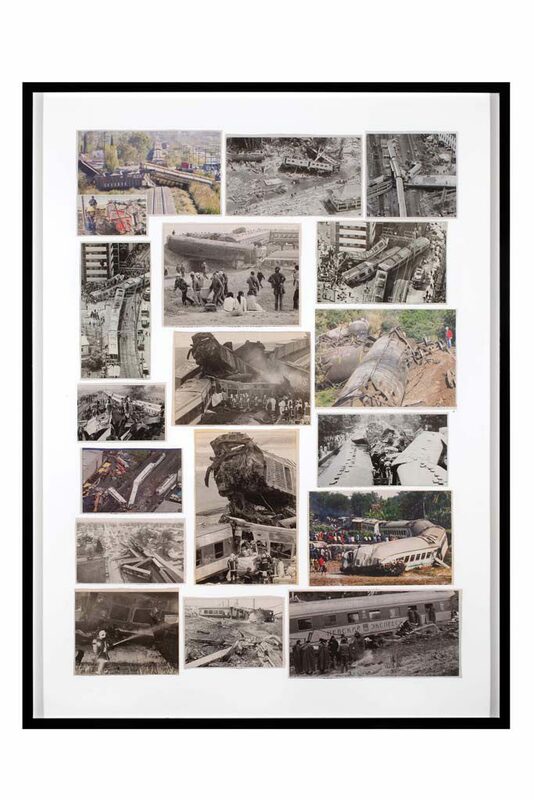 He then carefully reworks them into collaged compositions—many of which revolve around scenes of disaster—whose meaning is intentionally ambiguous, and which become a critical visual encyclopedia of our contemporary world.